Excellent condition Ed Brown Kobra, chambered for 45 ACP. 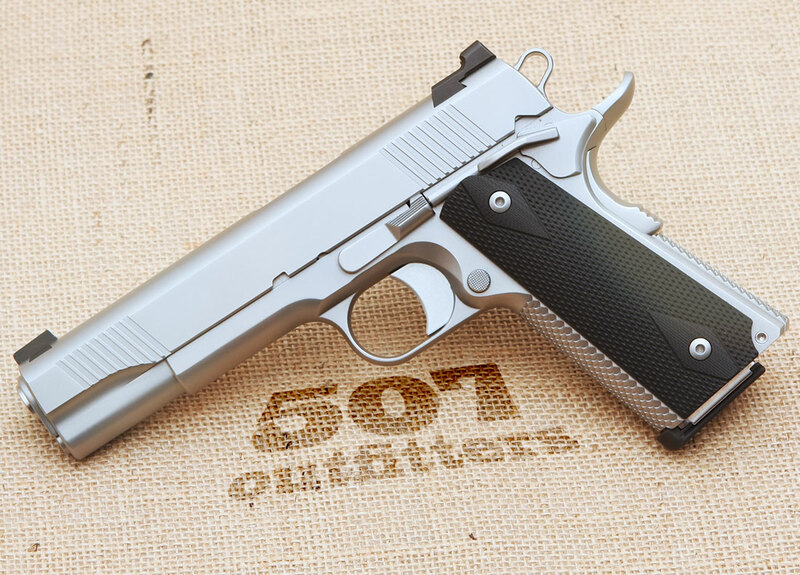 This beautiful custom 1911 pistol features 5” barrel, Tritium front sight, satin stainless finish, G10 grips and comes with original fabric case, documentation and two 8-round magazines. $2450. 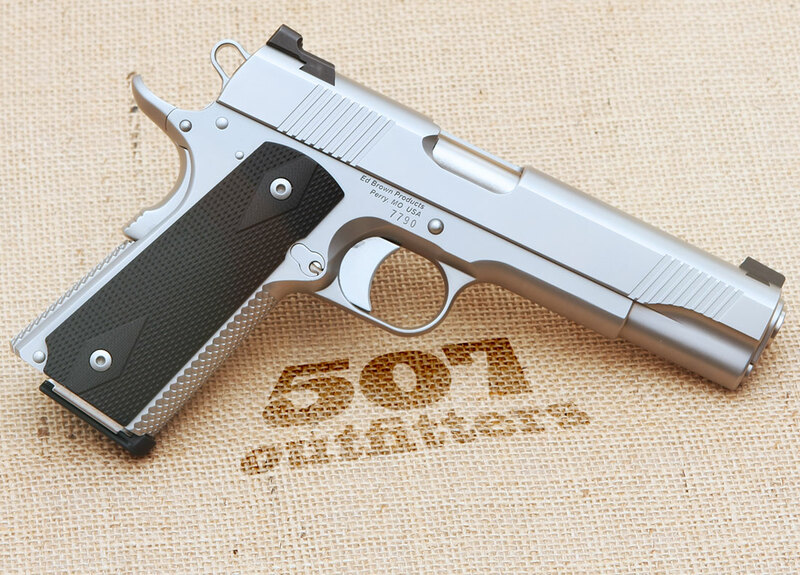 Available upon request – at upcoming gun show – please, see our schedule on the main page, or at the 507 Outfitters in Easton, PA. We also carry other high-end 1911 pistols including Nighthawk Custom and Wilson Combat. Contact us for pricing and availability at contact@507outfitters.com or call us at 610-438-4780.